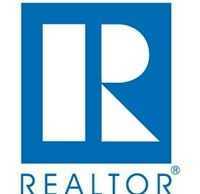 WASHINGTON, D.C. – December 19, 2013 – (RealEstateRama) — Existing-home sales fell in November, although median prices continue to show strong year-over-year growth, according to the National Association of Realtors®. Total existing-home sales, which are completed transactions that include single-family homes, townhomes, condominiums and co-ops, dropped 4.3 percent to a seasonally adjusted annual rate of 4.90 million in November from 5.12 million in October, and are 1.2 percent below the 4.96 million-unit pace in November 2012. This is the first time in 29 months that sales were below year-ago levels. The national median existing-home price for all housing types was $196,300 in November, up 9.4 percent from November 2012. Distressed homes – foreclosures and short sales – accounted for 14 percent of November sales, unchanged from October; they were 22 percent in November 2012. A smaller share of distressed sales is contributing to price growth. Nine percent of November sales were foreclosures, and 5 percent were short sales. Foreclosures sold for an average discount of 17 percent below market value in November, while short sales were discounted 13 percent. Total housing inventory at the end of November declined 0.9 percent to 2.09 million existing homes available for sale, which represents a 5.1-month supply at the current sales pace, compared with 4.9 months in October. Unsold inventory is 5.0 percent above a year ago, when there was a 4.8-month supply. The median time on market for all homes was 56 days in November, up from 54 days in October, but well below the 70 days on market in November 2012. Short sales were on the market for a median of 120 days, while foreclosures typically sold in 59 days, and non-distressed homes took 55 days. Thirty-five percent of homes sold in November were on the market for less than a month. According to Freddie Mac, the national average commitment rate for a 30-year, conventional, fixed-rate mortgage rose to 4.26 percent in November from 4.19 percent in October; the rate was 3.35 percent in November 2012. NAR President Steve Brown, co-owner of Irongate, Inc., Realtors® in Dayton, Ohio, noted that new rules defining the Qualified Mortgage will be going into effect soon. “New underwriting rules to protect borrowers, effective in January, will prohibit many loan features, set tighter limits on the amount of debt a borrower can have and still get a mortgage, and require that lenders accurately measure a borrower’s ability to repay,” he said. First-time buyers accounted for 28 percent of purchases in November, unchanged from October; they were 30 percent in November 2012. All-cash sales comprised 32 percent of transactions in November, up from 31 percent in October and 30 percent in November 2012. Individual investors, who account for many cash sales, purchased 19 percent of homes in November, unchanged from October and from November 2012. Last month, seven out of 10 investors paid cash. Single-family home sales fell 3.8 percent to a seasonally adjusted annual rate of 4.32 million in November from 4.49 million in October, and are 0.9 percent below the 4.36 million-unit level in November 2012. The median existing single-family home price was $196,200 in November, which is 9.4 percent above a year ago. Existing condominium and co-op sales dropped 7.9 percent to an annual rate of 580,000 units in November from 630,000 units in October, and are 3.3 percent lower than the 600,000-unit pace a year ago. The median existing condo price was $197,400 in November, up 10.0 percent from November 2012. Regionally, existing-home sales in the Northeast declined 3.0 percent to an annual rate of 650,000 in November, but are 6.6 percent above November 2012. The median price in the Northeast was $242,900, up 5.7 percent from a year ago. Existing-home sales in the Midwest fell 4.1 percent in November to a pace of 1.17 million, but are unchanged from a year ago. The median price in the Midwest was $151,100, which is 6.7 percent higher than November 2012. In the South, existing-home sales declined 2.4 percent to an annual level of 2.01 million in November, but are 1.0 percent above November 2012. The median price in the South was $168,700, up 7.7 percent from a year ago. Existing-home sales in the West dropped 8.5 percent to a pace of 1.07 million in November, and are 10.1 percent below a year ago, in part from constrained inventory conditions. The median price in the West was $284,400, up 16.5 percent from November 2012.